Last weekend we went with a group of teachers on one of our school provided trips. We get four per year and decided to use this one for a trip to Valle de Angeles. Valle is a small artesan community outside of Teguc. We were really excited to do enjoy some clean mountain air and do some souvenir shopping for everyone back at home. The bus left school at 7am on Saturday morning. The school bus….notice we are obviously not on it if we are taking this picture! At about 8:30am, I was woken up when the bus pulled over to the side of the road. 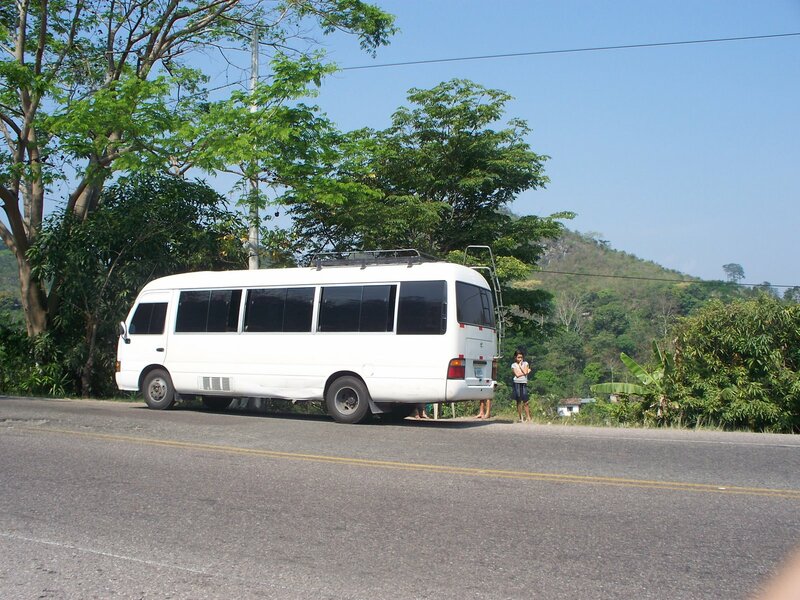 It seems a hose broke and the bus overheated (this is the second time we have had this same problem with the bus…the last being on the way home from our Belize weekend in the fall). With no other choice our crew of 15 piled off the bus to wait on the side of the road for a chicken bus back to San Pedro. A tow truck would be sent from the city to pick up the bus and the driver. A bunch of teachers on the side of the road. I am not amused. Rather than feel like the weekend was a complete bust, someone suggested a visit to Lago de Yojoa on the way home. 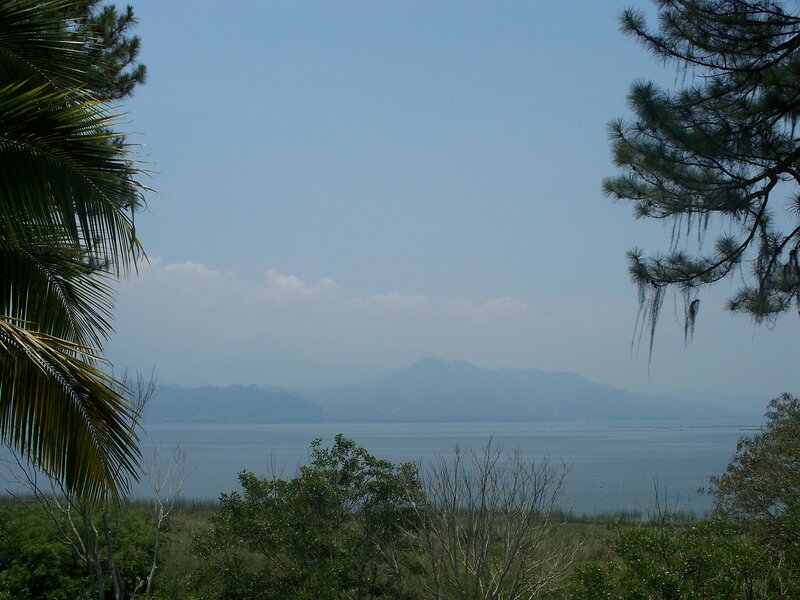 The lago is the only lake in all of Honduras and is about one hour outside of San Pedro Sula. We stayed at the AguaAzul Hotel on the edge of the lake and enjoyed some peaceful fresh air and about a million bugs. While it wasn’t exactly what we planned, it was still nice to be out of the city for the day. A view of Lago de Yojoa from the restaurant at our hotel. One of the reasons we hadn’t been to the lake yet is the pain in transportation trying to get there. It is hard to find a direct bus from the road that the hotel is on so instead we ended up catching a rapidito back out to the main highway and then waiting over an hour for another bus to stop and pick us up. So what began as a straightforward take the school bus directly to Valle weekend, ended with one broken down bus, and five chicken buses. Just a reminder to be flexible and not get too upset when plans change as they often do here in Honduras! At the end of the driveway to the hotel, waiting for a rapidito to take us back to the main highway. 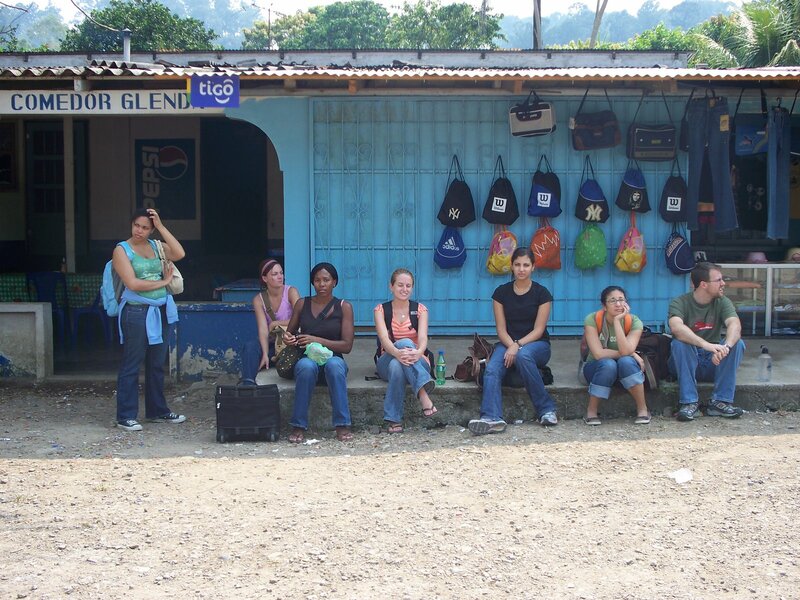 Here we are on the side of the main highway, waiting for the last bus of the trip. About a million buses were going by headed toward Teguc. 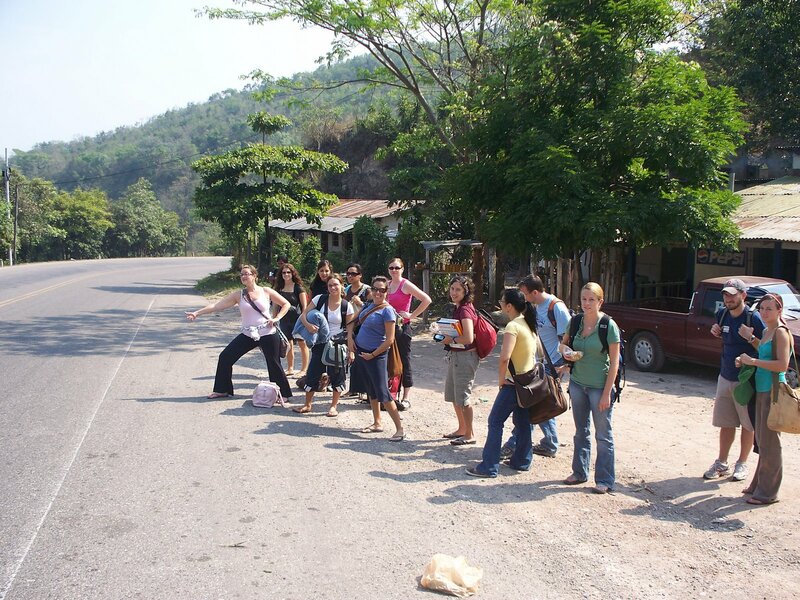 but no one seemed to be stopping on the way to San Pedro Sula. 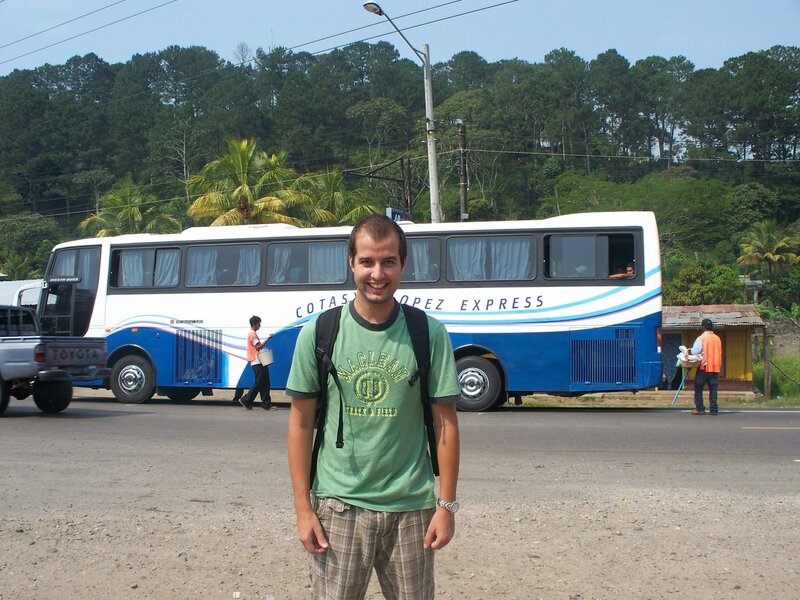 Posted in Honduras, TripsBookmark the permalink.